A hilltop home that opens fully to an expansive terrace overlooking panoramic jet liner views from downtown to the sea. This architectural property includes three en-suite bedrooms, an expansive living room area, an entertainers kitchen, and a spiral stair winding your way from a large wine cellar to a second floor loft. 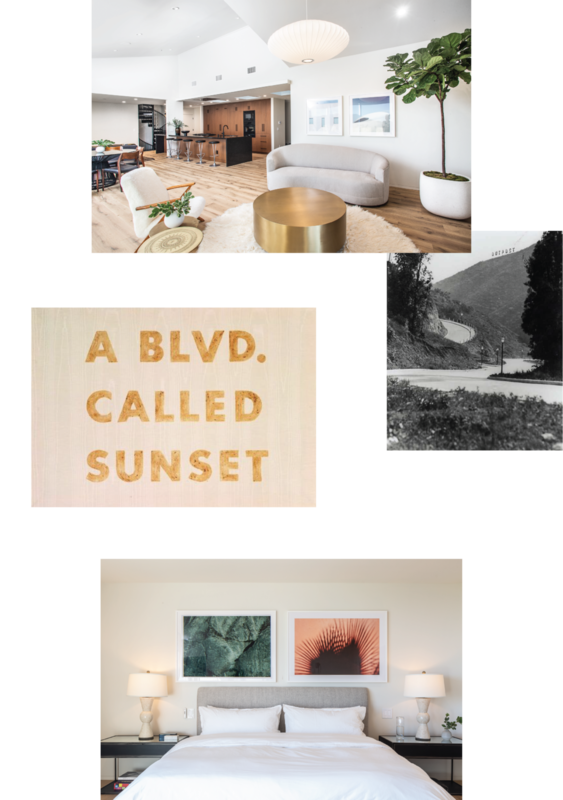 This retreat is curated for design lovers looking for a one of a kind turn key Hollywood Hills experience. Wine cellar, Fire Pit, Japanese soaking tub, multi glass panel door connecting to viewing terrace and living room fire place. The home includes collectible Scandinavian mid century furniture including pieces by Poul Kjaeholm, Niels O. Moller, Piet Hein and Bengt Ruda. Art curated by Tappan Collective and bedding by Parachute. All furniture, objects, art and accessories are available for purchase.